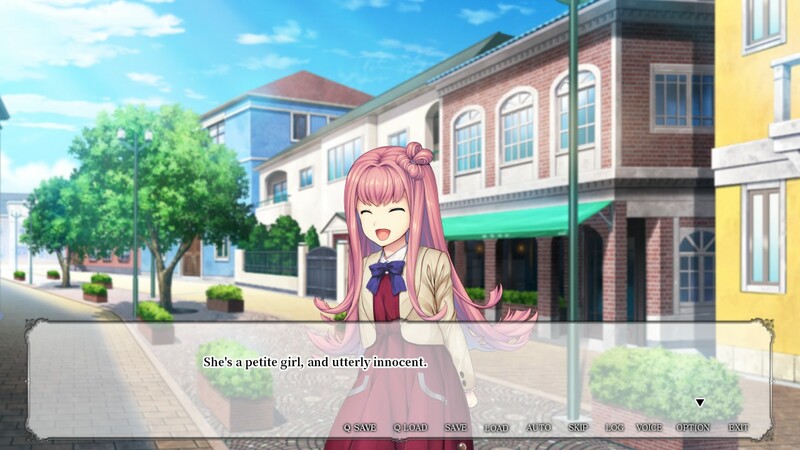 DareSora: Tears for an Unknown Sky is a very unique visual novel from Anagram that was brought to us here in the West by Sol-Press. What makes this one special is the format in which they are releasing it. While we think of most visual novels in terms of arcs, this is being released by the volume. Think of this like buying a chapter in a manga instead of how visual novels are usually handled. At first I wasn’t sure how this was gonna work, but after spending an hour or so with this first volume I can assure you, with the way this story is setup this is gonna be very interesting. The story follows a young man named Haruka Tendou. At first he seems like a normal student He is part of the school’s literature club along with his friends. They seem to be really into mystery novels, which is some serious foreshadowing. At any rate, Haruka is hiding a dark secret, he’s gotten mixed up the dark world of the Eclipse. This came about as he looked in to the sky and made two wishes, First, he wanted to know the truth and second, he wanted someone back. 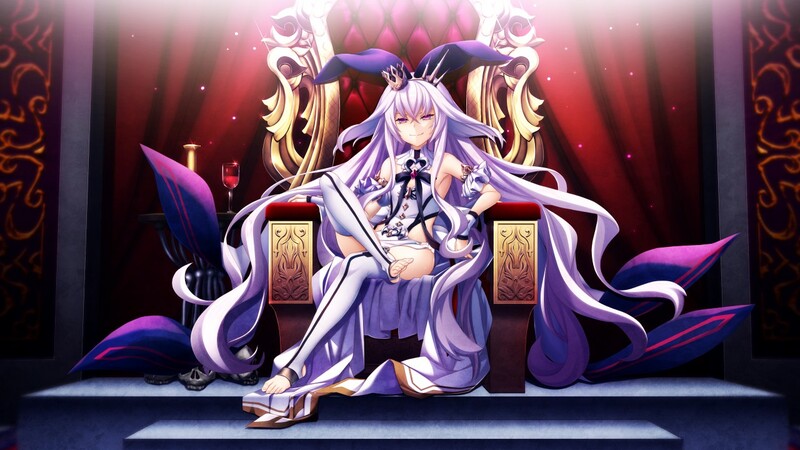 The ruler of this dark world, the most sadistic loli bunny ever named Luna, answered his call and has given him a heartless Oracle (a type of task) to complete. He has no choice but follow through with her request or he will face a fate far worse than any could imagine. Batshit crazy don’t begin to cover this one! I can’t really go into much more than this without hitting spoiler territory, but this story has some serious potential. The cast is very colorful and each have very distinctive traits. Mio is that really down to earth gal. She is very responsible and self confident, but some find her a bit stubborn. Chiyo is that very happy energetic gal you just wanna pat and cuddle. Makishi is your typical “Bro” character, but I can’t help but feel there will be something darker about him down the line. Lastly, Yuni is very petite, which get’s him mistaken for a child often. He wants to protect everyone and sometimes this leads to trouble all its own. Patch girls are the best girls! The artwork in DareSora: Tears for an Unknown Sky is outstanding. I love all the character designs. Mio and Luna really stand out to me. 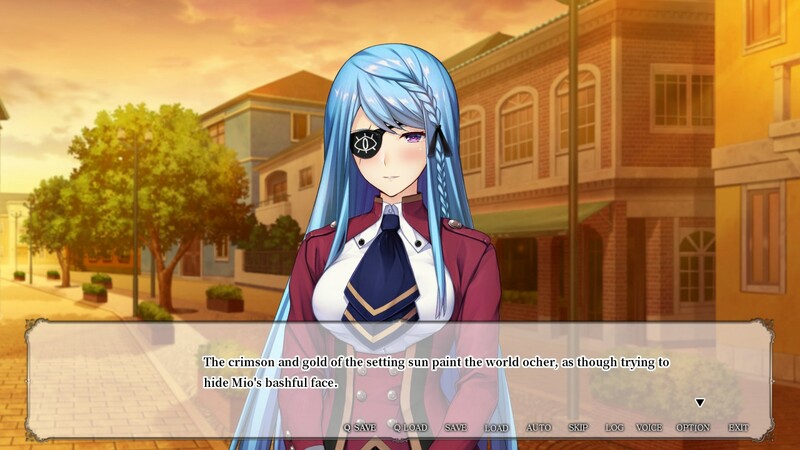 Mio’s eye patch and blue hair look fantastic and we all know gals with eye patches are the best! Luna’s design fits her to a tee. If I imagined what a twisted, sadist bunny would look as the ruler of a mysterious world this would be it. The background art is all nicely done as well. I really love the attention to detail in the Eclipse, I almost feel like if I looked at it closely enough I may get a hint of what’s to come. How come the cute ones are always full of energy? Right from the opening theme, the music just draws you in. It’s very dark and mysterious as you see a cryptic journal entry being written. Then when the next scene appears, with Haruka in the club room, the music becomes much more light and playful. This is just one example of how the music is not only fantastic in DareSora: Tears for an Unknown Sky, but how it helps to set the mood. Throw in some amazing voice acting and I got no complaints in the audio department. The voice acting here is as top quality as you will find in any high end visual novel, and this cast deserves a lot of praise. It does the body good! 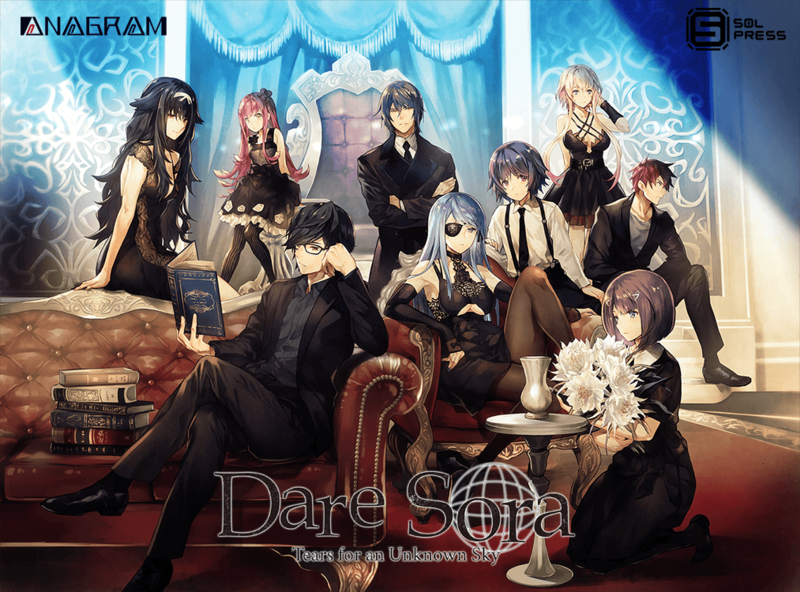 After spending around an hour with DareSora: Tears for an Unknown Sky, any fears about releasing the game in this format were gone. The way this story is structured, this should work very well going forward. It left me with a lot more questions than answers, but this is what a good ongoing mystery does. I’m totally hooked and cannot wait for the next chapter to see where this goes. I do have a couple of minor complaints. If you press F12 for a screenshot in Steam it will do a quick load. This is because they are mapped to the same button and that really needs to be fixed. The other is issue I’m not sure I’m a fan of the random endings here. Your ending is basically determined by an RNG when you first start each game. This isn’t a huge deal since the game is only an hour long, and it does kinda fit the story, but it I’m just not sure this is the best way to go with this. In the end this one will set you back a mere 3 bucks and it’s worth every penny. Game provided by the publisher for review purposes.